You know what is important about this week? That’s right; just six more months until Christmas. Only 182 shopping days left. And this has a little more to do with this great feast of Corpus Christi than you think, for it is in the Christmas story that we have the first hint of the Eucharist. Today, Pentecost, is the last day of the Easter Season. And we have had an Easter season like no other. It has seen challenges, heartbreak and hope for our community. I thought I would share with you my Easter journey with the Holy Spirit. Give you a personal testimonial to my relationship to the Holy Spirit. Even as I say that I recognize that might be the least Catholic thing I have ever said. Three Biblical understandings of the Lord’s supper: 1) It is a memorial of Jesus’ death and resurrection, a covenant sacrifice; 2) it is a continuation of Jesus’ earthy and post-resurrection meals in which the messianic banquet is anticipated; 3) it is a ritual extension of Jesus’ Incarnation. The bread and wine become the living body and blood of Christ in those who receive him into their lives. John’s gospel is emphasizing this idea. Through this Living Bread, Christ’s ongoing presence and life continue in the community – in the world. for not having lived during the time of Jesus’ life on earth . . .
to help us believe in Jesus . . .
Christ is always present in the Church . . .
and in the whole community gathered to worship and pray . . . The Liturgy is really a celebration of eternity, here and now. our hope for partnership with God. together with Jesus Christ . . .
and the very source of that life to begin with. and a place to which we go for reconciliation . . .
ready to participate, and actively engaged in the rites . . .
to full and active participation in the Liturgy . . .
homilizing on them . . .
or praying inspired by them. A warm and living love of the Scriptures is to be fostered. Eucharist presents us with an option: the possibility to choose in the midst of life’s mourning and pain, not resentment, but gratitude. Mourning our losses is the first step away from resentment toward gratitude. The tears of our grief can soften our hardened hearts and open us to the possibility to say ‘thanks.’ The word, “Eucharist” means literally “act of thanksgiving.” To celebrate Eucharist and to live a Eucharistic life has everything to do with gratitude. Living Eucharistically is living life as a gift . . . The great mystery we celebrate in the Eucharist is precisely that through mourning our losses we come to know life as a gift. The beauty and preciousness of life is intimately connected with its fragility and mortality. This Sunday is Father’s Day, a day to celebrate all men who fill the role of father. Maybe you are having a barbecue or going to a baseball game. Maybe you are visiting a cemetery, if your father is celebrating on the other side of life. Maybe you are making a phone call to a dad who is far away. However you spend it, it is a day to stop and think about what being a father means to you. What better example than God as Father. 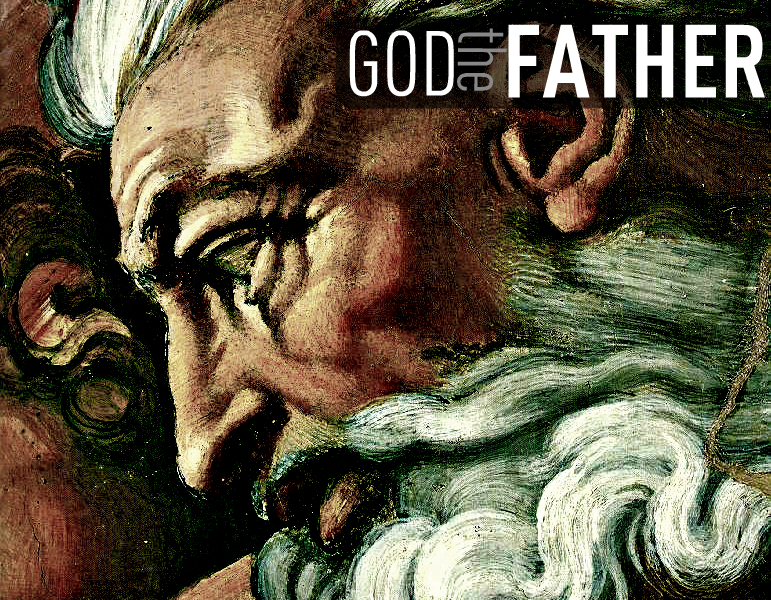 Of course, God isn’t just Father. God is lots of things. God is Mother too. God is love. God is the air we breathe. God is good. God is such mystery…mighty, awesome, omni-everything…that it is hard to really put words in describing God except through images. Even St. Augustine of Hippo said, “To reach out a little toward God with the mind is a great blessedness; yet to understand is wholly impossible.” And he wrote a whole book about God! We all have our own images of God. I think Father’s Day may be hard for those who may not have such a great relationship with their father. Especially for them, God as Father is a wonderful image. God is the Father who will always be loving, will always be listening, will always BE. As Michael Downey in Altogether Gift: A Trinitarian Spirituality says, “God is the life that pours itself forth: constantly, abundantly, excessively, never-to-stop-coming-as-gift.” Now that is a Father who loves. 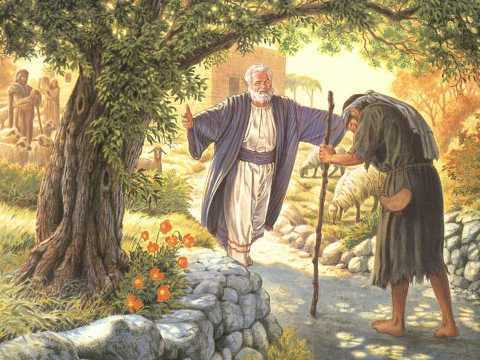 Remember the story of the Prodigal Son? When the son returns home, the father runs TOWARD him, arms outstretched, as if he were waiting all that time just to welcome him home. That is God as Father. His son had squandered all of his money, lived a less-than-pristine life and probably never wrote home to talk about any of it. The father only reached out in love. That is God. So Happy Father’s Day to all fathers, and their children who make them so. May we celebrate God as Father, since Father’s Day is also the Feast of the Most Holy Trinity. However you celebrate, know that God as Father is forever reaching out to us in infinite love. If you are interested in exploring more about your image of God, consider reading Good Goats: Healing Our Image of God by Dennis, Sheila and Matthew Linn. This will be next book group read at our parish. Check the bulletin for details, or contact me at kafe@stkateriparish.org. At St. Bernard’s School of Theology and Ministry, I am taking an elective called American Catholicism that requires me to visit a mass culturally different from Kateri parish. My first visit to the noon Spanish Mass at the ShrineChurch in Albany (Lark and Central) will forever linger in memory because I stepped into a sidewalk “imperfection” and fell right in front of the church, fracturing my left fibula. I found myself laughing that my prayers to the Blessed Mother to help me “slow down” have definitely been answered. Less than 10 minutes before, I’d been at a free-dancing class and left with a feeling of perfect inner and outer balance. Dance is prayer for me, a deep connection with the divine and a chance to “hang with” my beloved dead ones. Like song and story, dance lifts me into fantasy and a clearer reality all at once. I connect to my grandmother whose limbs hardly moved from rheumatoid arthritis. I invite her now-freed spirit to dance with me and she does. I think that day in Albany, Mother Mary offered me a chance to “cross the border” into my grandmother’s disability, just as I was crossing into a different faith community. My fall introduced me instantly to fellow mass-goers with kind faces and strong hands. I didn’t dare stand until the pain subsided. I felt tears come but retreat instantly, an old habit. Eventually with both hands planted on the cement, I got up and then others’ arms supported me up the church steps. At a Welcoming Table, I met more friendship and received a sturdy bag of ice for my now-ballooning left ankle. After many muchas gracias, I asked for names and offered my own. I didn’t like feeling needy and “different” in a sea of Latin faces, but Mary’s compassion, through her beloved ones, flooded me. Blessing the parish’s children was fun, watching families with big smiles send little ones toward the sanctuary. Clearly a weekly ritual. A parish member fluent in Spanish lovingly explained the purpose of their leaving for Word-liturgy. The elderly white pastor looked grateful for this lay assistant. The priest got through the mass in Spanish, but clearly it was not his first language. Mine either. A Spanish/English hymnal helped me with the Kyrie and Gloria. Then I stumbled through “Let your mercy be on us, O God, as we place our trust in You,” which I’d sung in English the previous day as Union St.’s psalmist. By the gospel, my ballooning foot warned me to get home. So as others stood, I awkwardly excused myself, using each pew as a crutch. My ice-bag dripped all the way, and white privilege reminded me I find treatment soon, thanks to insurance. That might not be true for those I was leaving. I returned the next week in a clunky boot, moving slowly. I spotted faces that remembered me. My favorite moment was the congregation’s enthusiastic singing (in Spanish) of the “Our Father” (to the tune of “Sounds of Silence”?) I couldn’t stop smiling, and sure enough found an English version online: https://www.youtube.com/watch?v=FHxEkeBiFyc. Everyone also spoke Padre Nuestro, holding hands. My friendly teenage pew-mate this week reached for mine and hugged me wholeheartedly at the passing of La Paz. Suburban teens don’t so easily hug strange adults. I felt too shy to walk around the church as my young pew-mate did, hugging everyone she knew! I enjoyed watching all the families and friends sharing paz and take pleasure in traveling the church. I noticed a festive feel. Some parents kept little ones close, but others allowed children to run off to hug cousins and playmates. Parenting styles vary both within and across cultures I guess. Seeing teen boys hug their elders, as well as pretty peers, made me smile too. I’m a hugger by upbringing, and I liked this ritual which I’ve also experienced at the Black Catholic Church in Menands where I was once a member. Our big parish doesn’t seem to lend itself to such traveling and hugging. And I must admit, after years at St. Helen’s/Kateri, I still don’t know more than a small percentage of parishioners. I enjoy seeing our priest and deacons walk the church for peace-passing. I wonder if we could push through our reserve and try peace-hugging. Hmmm. It does lengthen the service a little. I did OK on Spanish responses (printed in the book) and liked following readings, though I realized too late we were mid-Apostles Creed, not the Nicene one. I also followed the Spanish Eucharistic Prayer III pretty well and sang Santo Santo Santo and Cordero de Dios (Lamb of God) pretty well. I started to feel at home! Catholic ritual can be a blessing when you are in unfamiliar territory. Both Eucharistic ministers smiled broadly and I noticed how people sing familiar music easily at communion or other times. But unless invited, they just give unfamiliar tunes a try. That’s true everywhere. It takes time for a choir director or psalmist to teach congregants a new song, but in the end, it’s a bonding experience, especially if we can laugh a little. This entire parish applauded wholeheartedly for two teen girls who sang acapella after Communion was over. I like when people clap or laugh in church. That seems to unite us. Those girls looked so pleased. And I noticed a nearby woman quietly singing along with them, perhaps recalling being such a girl. I didn’t really get the Spanish homily, but having heard all the readings earlier, I sensed the pastor calling us to God’s friendship through His commandments to love. My heart went out to him and to his listeners. Both seemed present to each other across the hurdle of the priest’s effort. I missed a level of joy I expected to find. It’s something I look for at any Mass. My big Irish family loved Mass for the singing. I can enter joy alone; I learned that at First Communion and deepened my understanding in 4th grade when I first sang morning Mass in Latin. Cantoring once again, in recent months, I’ve tried to send my joy out to others. Sometimes I can feel it connect, like when I story-tell to listeners. Before and after this Shrine Mass, I did see the joy of community as people greeted each other, entering and exiting. But during parts of the Mass I saw a too-familiar mix of boredom and weariness. I guess Mass is where we get to let it all hang out. I do love watching Fr. Bob begin Mass so enthusiastically, then preach with a deep connection to his flock and toss the “napkin” basketball to grinning servers, then hold the host as if he really IS Jesus speaking to his apostles. I can’t help thinking we Catholics who sit in the pews – or wherever we gather – need to work on our joy. God’s love asks it of us, and in our parish we have so much to be grateful for. At one moment during this second visit to the Shrine Church, I did find a Fr. Bob kind of exuberance in a girl of about 4 or 5. She caught my eye the moment she and her mother arrived. They were fashionably dressed and the tiny girl exuded a Latina Shirley Temple zest. I remembered being such a child once, happy to be in my church dress, watching for family and neighbors to arrive and sit in their “usual” pews. I communed during Mass with my favorite statues of Mary, Jesus and St. Therese to keep away the boredom of grownups doing something I didn’t really get. This little girl was a strong cultural connection for me, as was the teen girl who unhesitatingly hugged me her Paz. Our Lady of the Americas gave them both to me, undoubtedly sweetening my week-ago fall into grace.